Having woken somewhat groggily from a post-Viking feast slumber, we eventually set out on our second day in Stockholm in the late morning. The city by this time was alive with people, gaggles of tourists, locals crossing town for work or play or just wandering about and enjoying the summer. 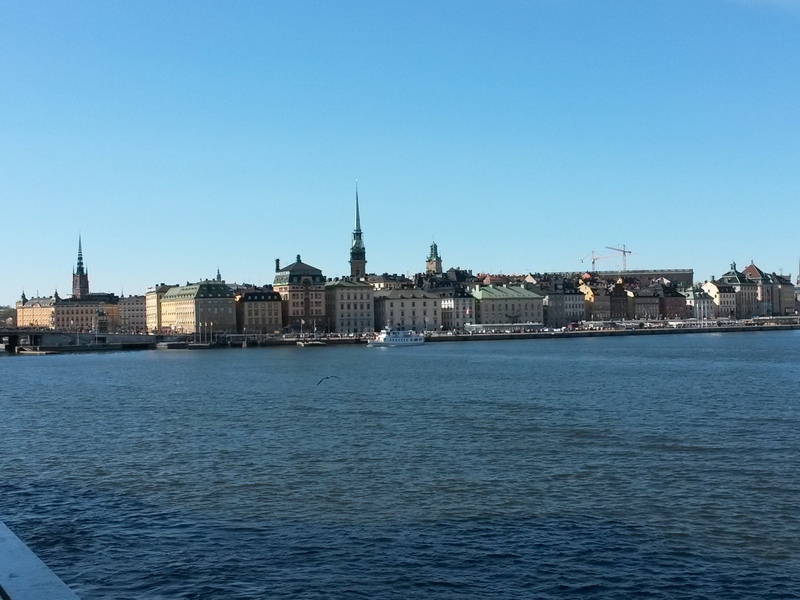 We joined the crowds on Gamla Stan, planning to cross to the mainland to catch a ferry. Our route took us past the royal palace, where it seemed that something was afoot. The largest crowds we had seen so far were packed and still packing behind rope barricades, apparently watching the palace guards, who in turn seemed to be blankly watching nothing. No one seemed inclined to explain what was going on, so we hung about curiously until an announcement that the changing of the guards was imminent. As neither of us was very interested and it seemed unlikely to involve horses or the royal family we hurried out, passing a marching band and a group of very serious looking guards on their way to take over guarding duty. 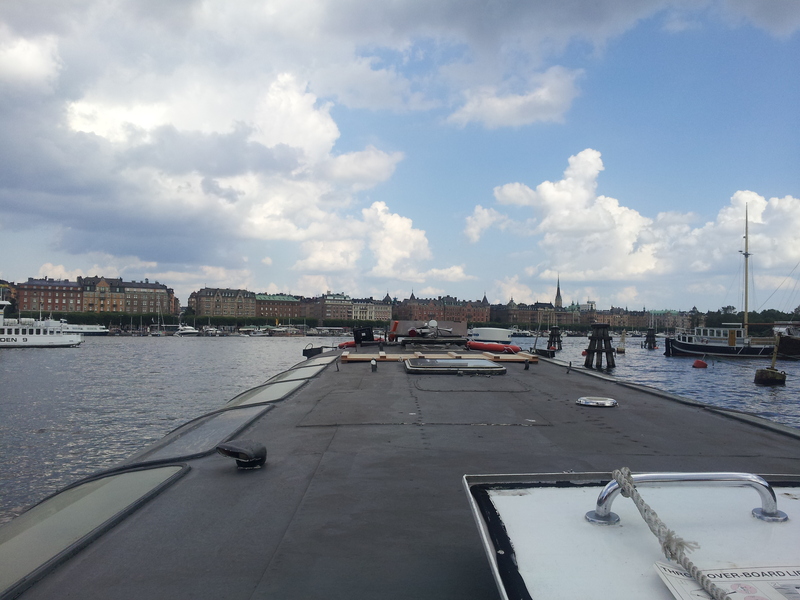 Now that we had escaped the fanfare, we skirted around the palace and found the ferry dock, where we caught one across to Djurgården, an island which seems to house most of the interesting and fun places in Stockholm. 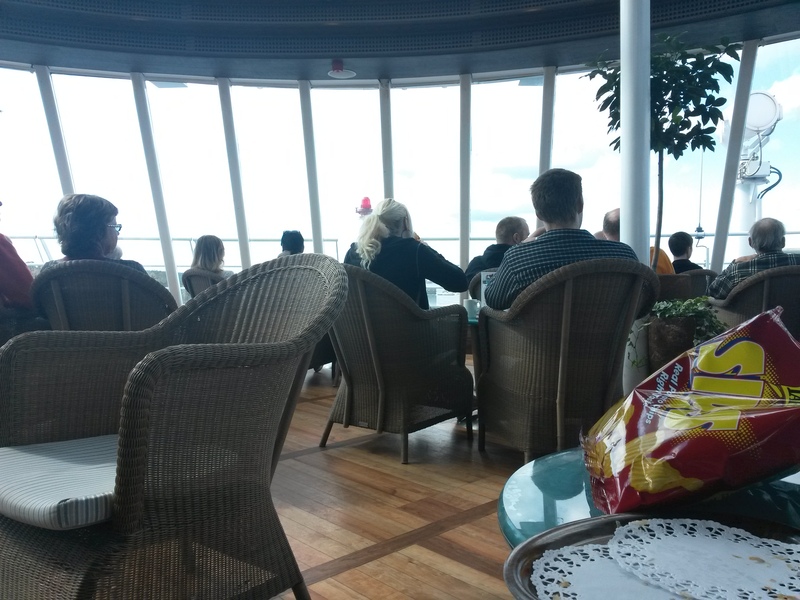 As we looked for somewhere to have lunch, we could hear screams from the theme park and see people darting about the tree lined streets, bound for the ABBA Museum (I’m not kidding), the Vasa Museum or Skansen, which was our destination. 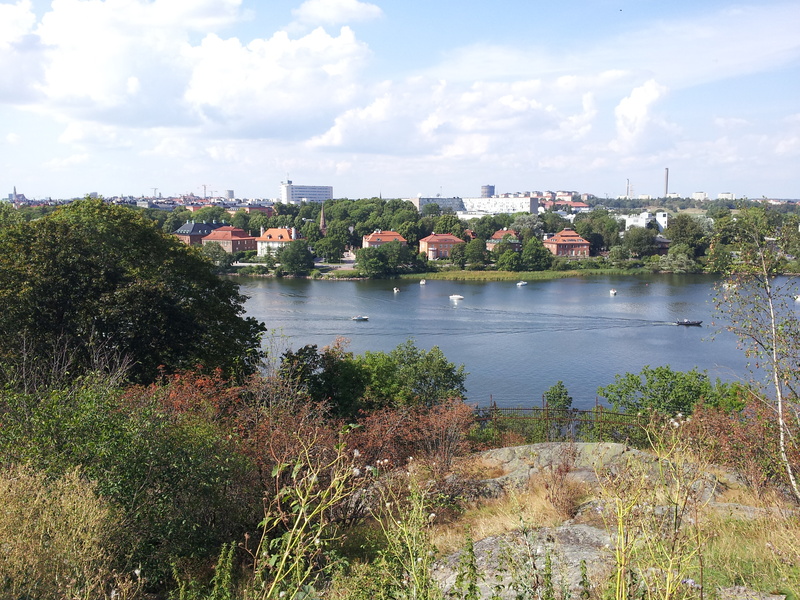 So Skansen; how to describe it… Basically it’s a combination zoo, craft village, music venue, playground and outside museum in the middle of an island, in the middle of Stockholm. To understand you really have to visit it. As we following the paths around for our first visit, we found the wolf enclosure, where we spotted one fellow trying to sleep in the sun and ignore the pointing crowds. 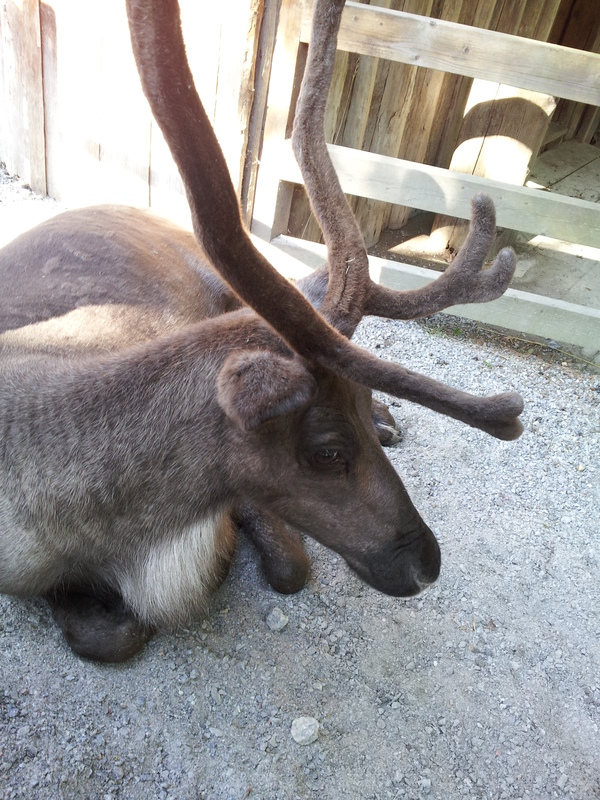 I got a thrill spotting him, or her, as I did when I caught a glimpse of a single wolf at Nordens Ark last year. Speaking of which, I do intend to post about that day at some point. 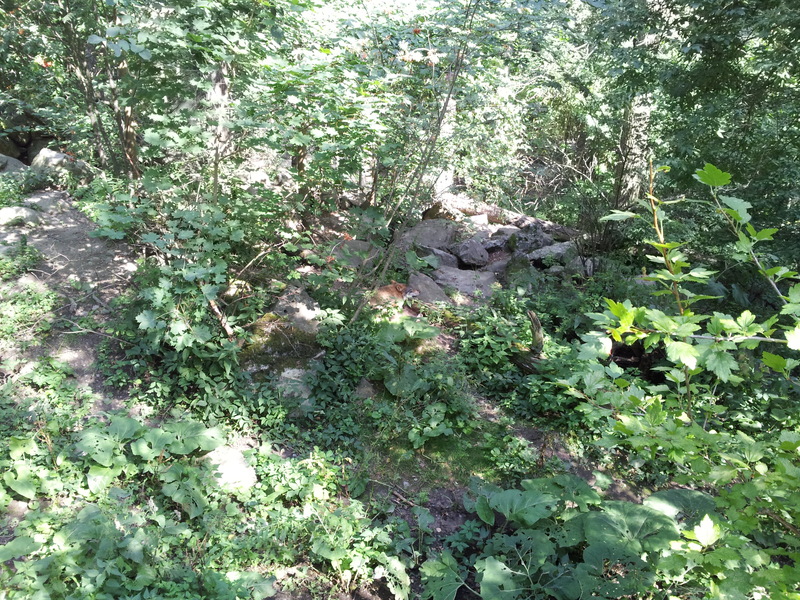 From wolves, we saw a family of lynxes, the kittens pattering about with huge paws and the mother patiently carrying them across streams while the father lazed in the shade of a tree. 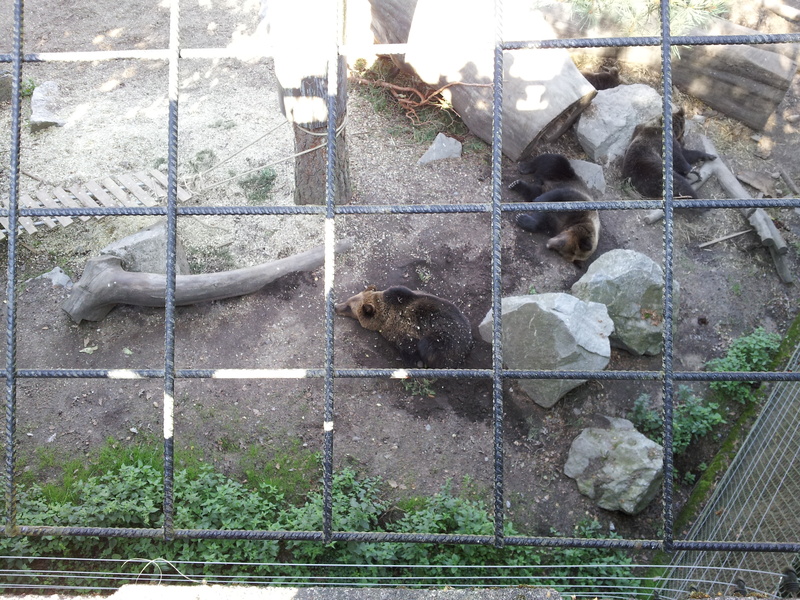 Then bears, sleeping in furry, comfortable piles in the sun, also ignoring the excited people leaning over the fences and taking photos. One of the animals I found the most interesting was one that I hadn’t seen before, at least not in the flesh. European bison were almost extinct at one point, with a small amount remaining in zoos and none left in the wild. 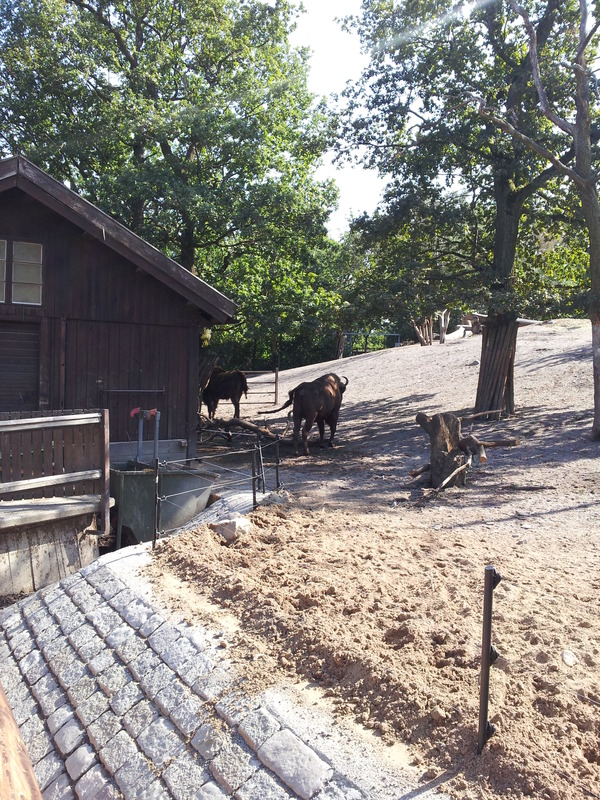 Thanks to breeding programs, there are now a few herds out there and also a number in zoos such as Skansen. They were one of the most represented animals in cave paintings, and seeing them in life I could imagine why they had such an influence on the people who shared the world with them thousands of years ago. Finally we found deer, lying next to fences and tolerating the children (and older people) touching their furry summer antlers. 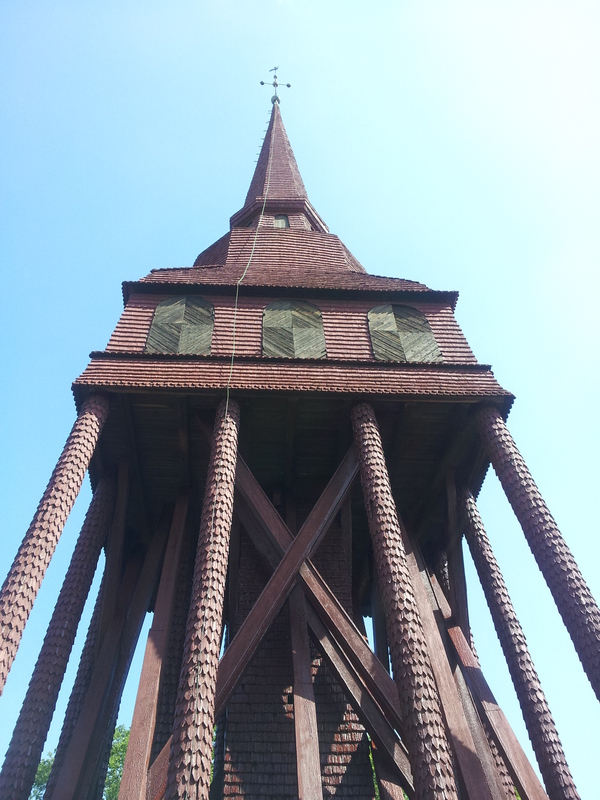 Elsewhere in the park we came across a tall and imposing building, that I have just discovered is the Hällestad belfry. At first glance I had no idea of it’s purpose, though it seemed most of all to be somehow foreign and strange, possibly pre-Christian and part of some culture that doesn’t exist any more. It looks as though it’s covered in thousands of wooden scales and smells deeply of resin and pine, as with the smaller belfry near where we live, and also the cabin we stayed at in Norway months ago. Once we were off the island, it is one of the few thing that can be made out between the trees and the towers of the theme park. Other ancient buildings were scattered around the paths, old farm houses, churches and even a manor house. 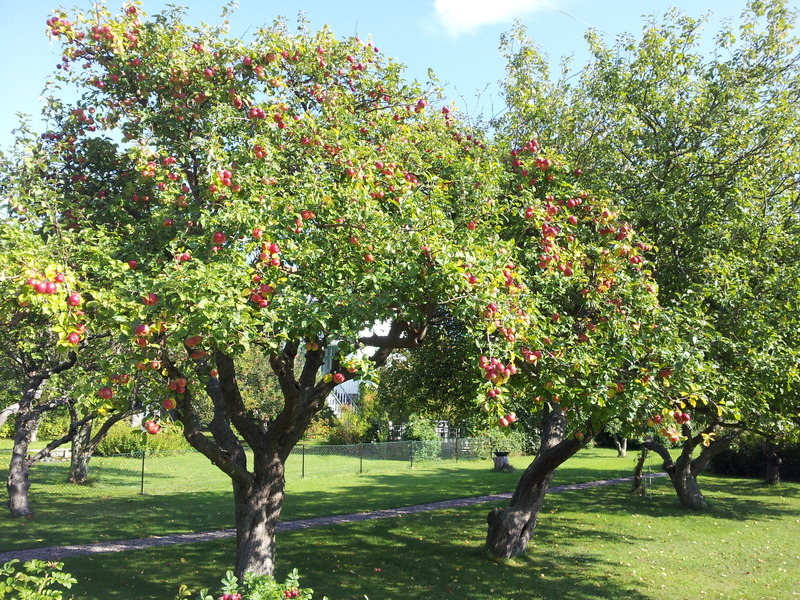 A fearless squirrel ran out and pestered some children for a little while then disappeared, and ponies and horses appeared intermittently, carrying children or pulling a cart. As we got more hot and tired, we found an icecream van and enjoyed the treats by the old theatre with a lovely view of the city below. As we tried to find the exit we passed through the craft village, and got dragged by curiosity into the glass making workshop, where someone was in the middle of making a series of stylised reindeer with apparent ease. Outside great loads of glass fragments were strewn across the rocks, like piles of colourful and clear ice. Once we had made our way outside we caught a tram to the mainland and then walked to the ferry harbour, to wait for another journey. 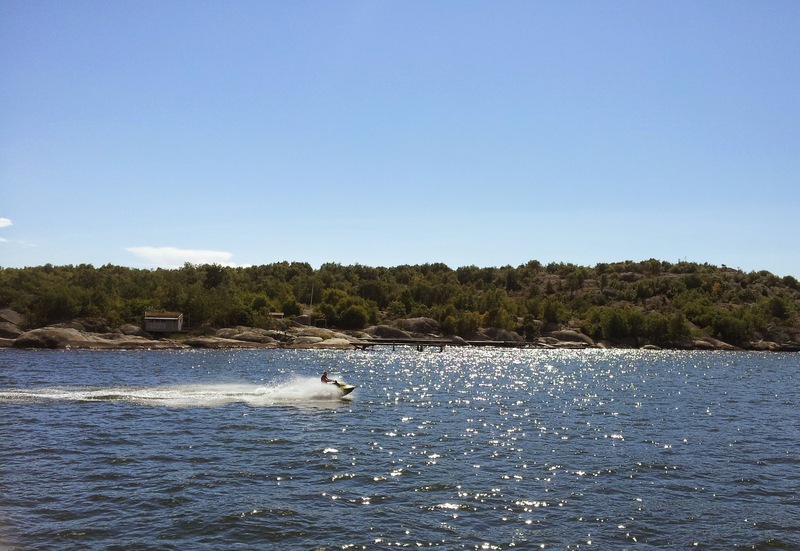 After staring up into the seamlessly blue sky for a short while, our boat arrived and we settled in for a ride through the archipelago. 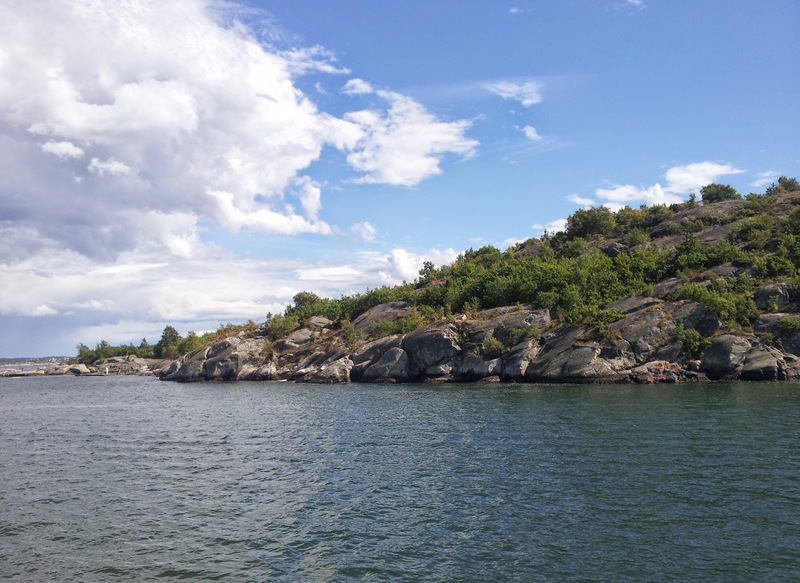 If you have a look at Stockholm on a map, you will see that between the city and the sea there is a maze of islands of all sizes. 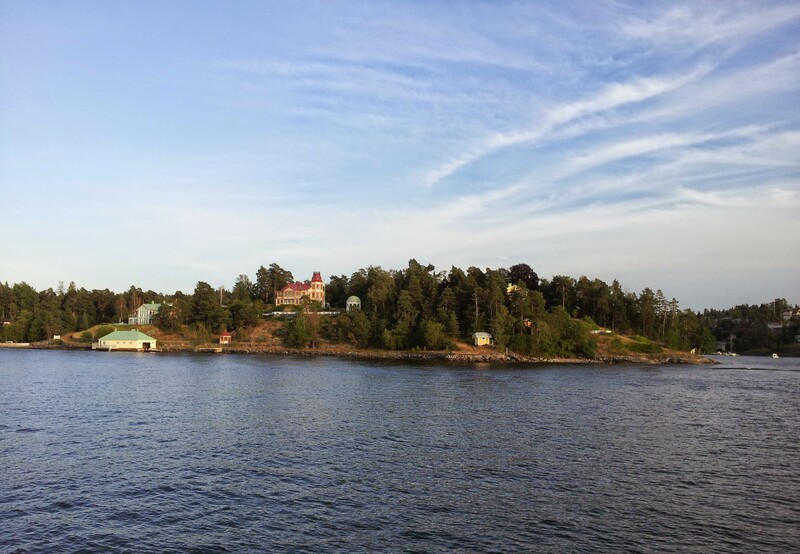 On our voyage to Vaxholm, one of the nearest publicly open islands, the scenery changed from built up apartments, cliffs covered in houses, then scattered housing, an oil refinery and finally leafy green shores with expensive houses and tiny harbours poking out between the trees. We’d pass uninterrupted stretches of trees, then a 4 story manor would appear, deck chairs set out on the front lawn or a party in full swing on a terrace. 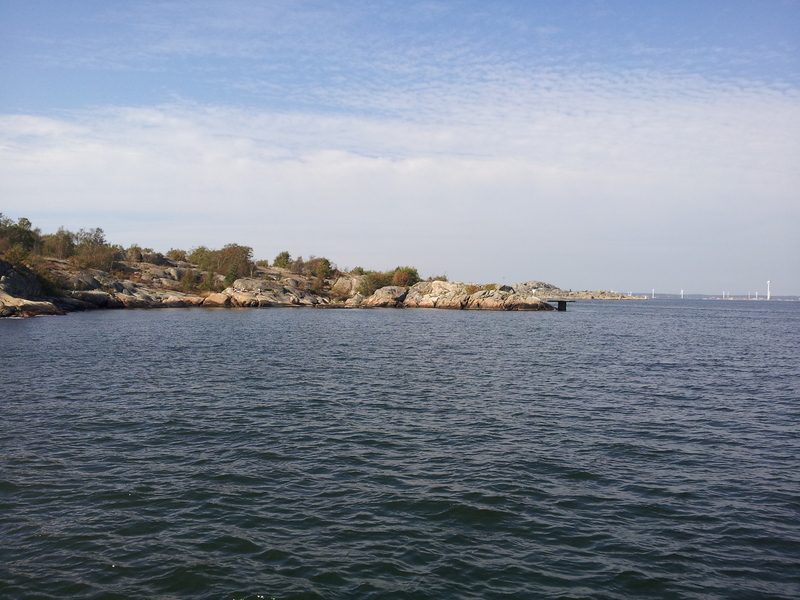 Though we didn’t know it at the time, we even passed an island called Boo. If you don’t believe me look it up. It was also right across the water from a place called Bo, apparently. Vaxholm is small and neat and lovely, and we didn’t really have enough time to take it all in, or visit the old fortress. 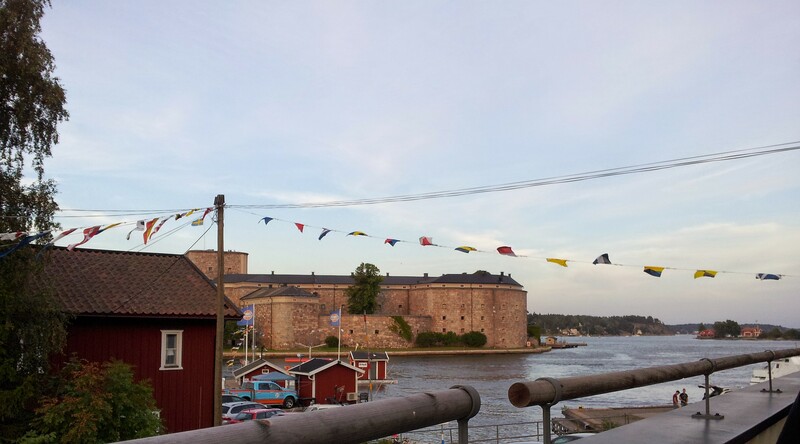 We did have time though for dinner on a rooftop terrace with a very nice view of the fortress and the harbour. 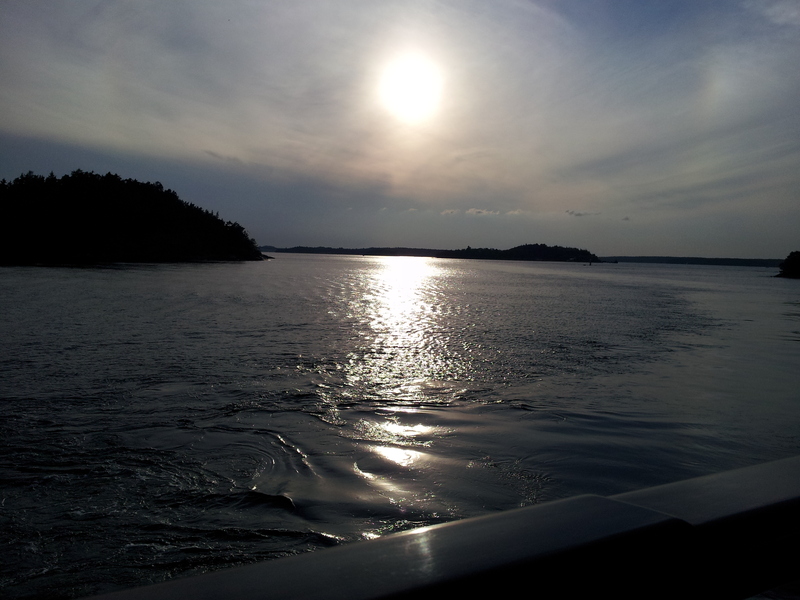 For our return trip we caught a steamer, much more old fashioned than the modern ferry we’d arrived on. 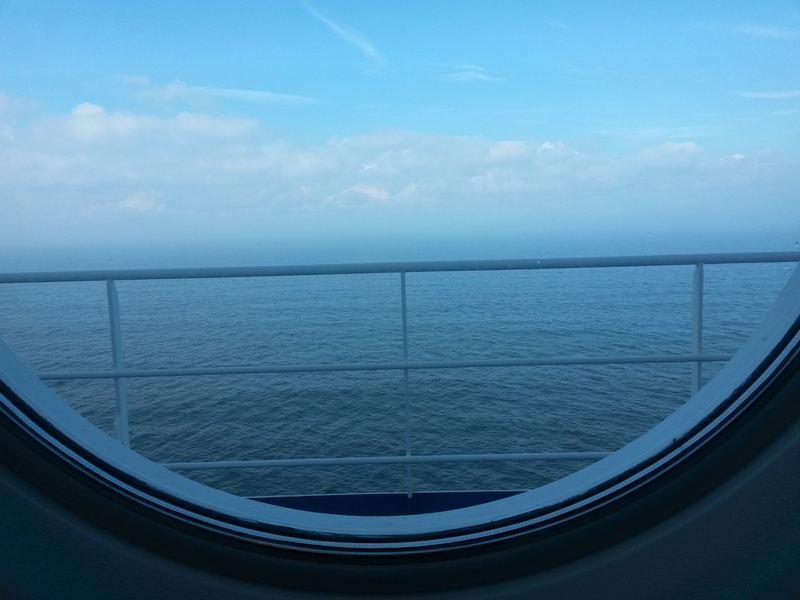 We found benches on the lacquered wooden deck to watch the islands passing by and the sun slowly set, and listened to the steady chugging of the engine as we sipped cider and beer. Back in the city, we discovered a festival that was ending, in loud music and bright flickering lights, and walked down the main street guarded by hippy-looking lions. 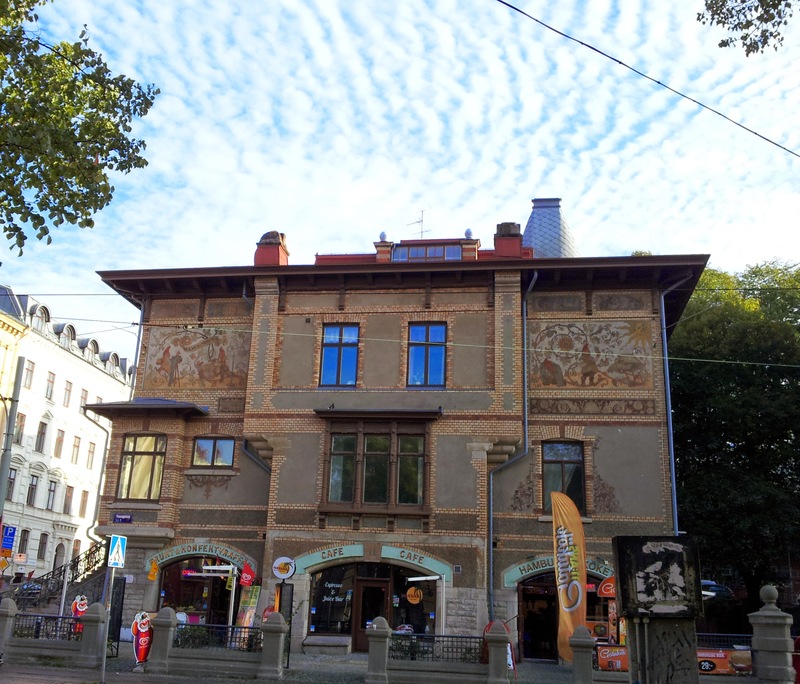 When we returned to Gamla Stan for one last loo before we went back to the hotel, we bumped into an old friend who we hadn’t seen since last year. He was visiting the city with some friends from his hometown, and after exclaiming about coincidences, introductions and chatting, they invited us to follow them along to a bar for a final drink. The bar was in the nice part of town, and inhabited by well dressed folk dancing and drinking well dressedly. We chatted and laughed some more, and I enjoyed another Madde, before eventually their post-kayaking exhaustion and our post-exploring tiredness overtook us. As we stood and swayed on the tram headed for the hotel, we found out that one of the fellows was the project manager of a planned museum to honour Ingvar Kamprad, the founder of IKEA. This is the sort of thing we just take for granted in Sweden. The next day, after leaving our luggage at the train station, we headed to the History Museum. Limited slightly by time, we went through the exhibitions quicker than I would have liked, but we managed to take in the huge numbers of Viking artifacts, get drawn into stories of ancient people, marvel at the hoard of gold and silver and even practice archery. Sadly I wasn’t able to find the original Freya pendant that I have a replica of, but I’m sure that wasn’t my last visit to Stockholm. From there we went to the train station, then the train and then to our seats. On the ride back we were entertained by another pianist, who played some Håkan Hellström to the delight of a chef and his audience, preparing us for our return to Göteborg and home. These past two weeks we have been able to see our city from a slightly different perspective; that of tourists. My partner’s parents have been visiting from Australia, and when we were able we took them for walks, visited sites or recommended places to visit. For the most part they seemed happy to wander around and explore themselves, and then on most evenings we’d go over to their apartment. Through some sort of incredible luck, their visit has coincided with over a week of sunny days, which ended the day they left. So we’d head over of an evening, and before long it would be 10pm and the sun would still be shining through the windows. After a few days my partner’s sister and her boyfriend arrived, and we continued to show off our home city and share late dinners at the rented apartment. 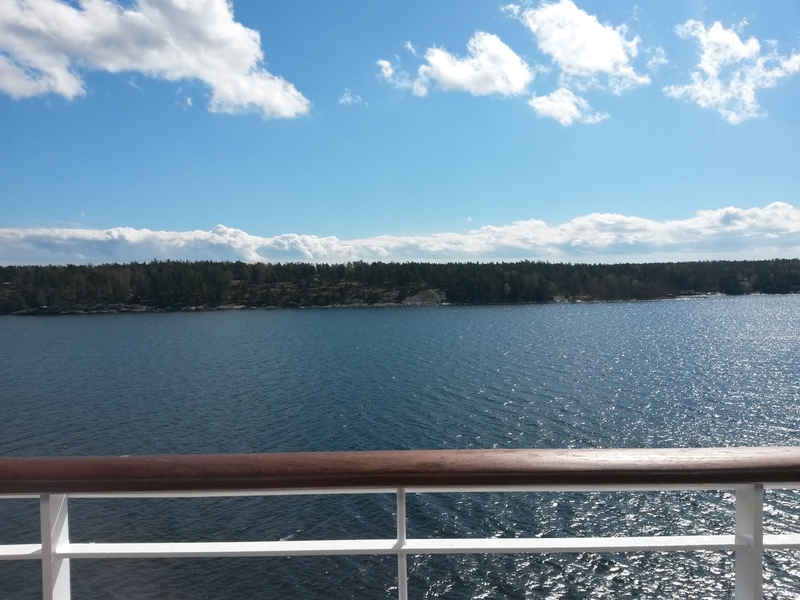 On one day we took a ferry to Brännö, one of the islands in the southern archipelago. Aside from some brief cloud cover it was clear and warm, roses were out along trellises and over fences and some grassy fields even had sheep and lambs wandering around in them. It was all extremely bucolic. We had lunch in the sun, under the supervision of the restaurant cat, and fika at a cafe hidden among the dockyards as we waited for the next ferry. When we got back to town we spent some time on the balcony of the apartment, soaking in the evening sun and musing over summer, travel and luck. 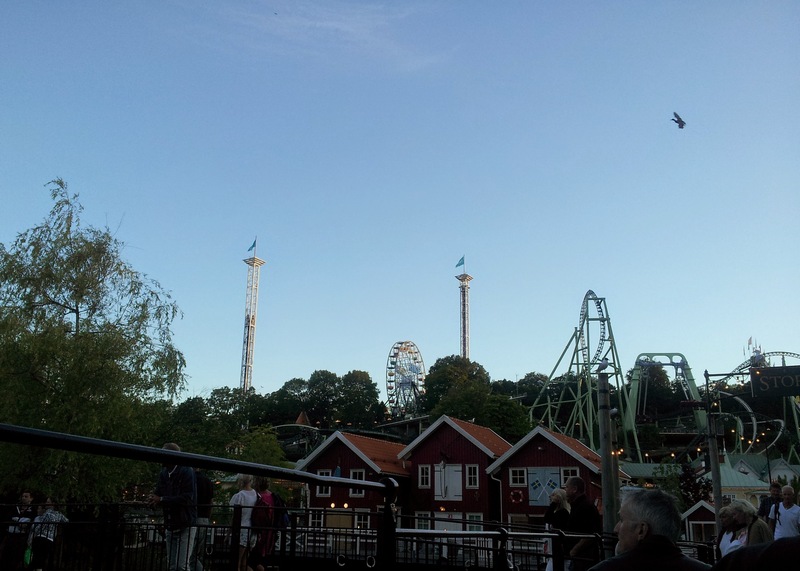 After we had all rested enough and some of us had got their nerves in order, we headed over to Liseberg. It had been decided a few days previously that a few of us would attempt the Helix, a new ride that we had seen being constructed and whose passengers we regularly heard as they swooped and screamed around the tracks. 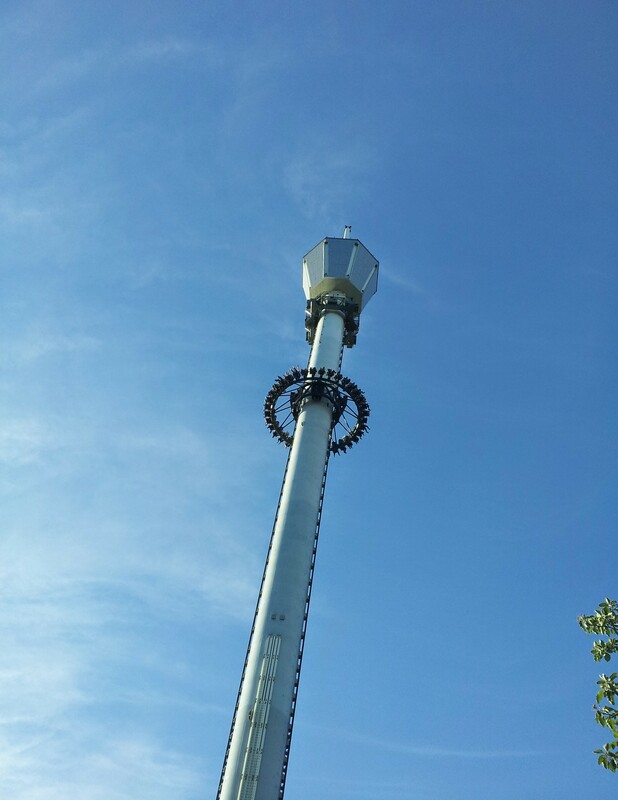 Sadly it was temporarily closed when we got there so instead a brave few tried out Atmos-fear, the 116m free-fall tower that is the source of most of the screaming that you can hear from the park. A couple of us decided to watch, and managed to see the others as they slowly ascended and then very quickly dropped back down. They seemed quite shaken afterwards, but were still game enough to try out Balder, the big wooden rollercoaster that I had tried last year. Remembering what it was like, I went and had a glass of wine with my partner’s mum and waited for the more adventurous people to join us. They eventually did, looking a bit more exhilarated and still eager to try Helix, which had just started up again. 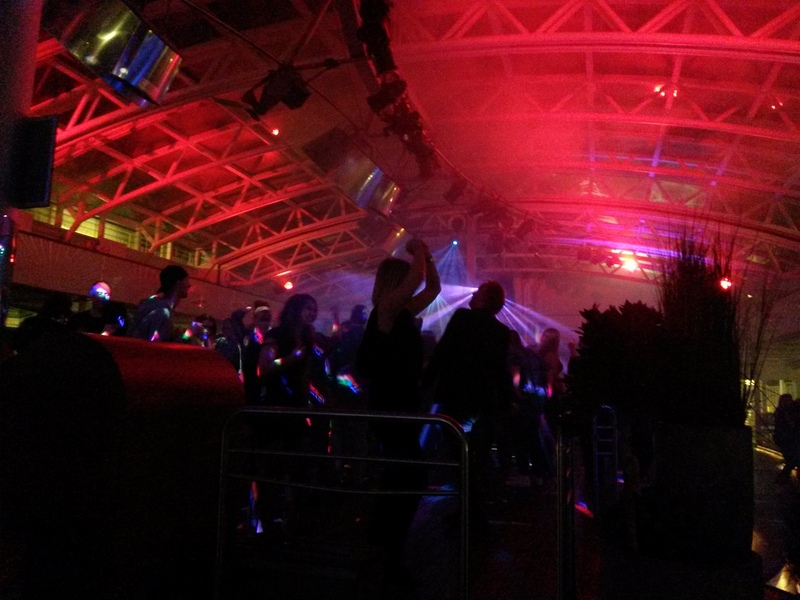 As we sat and drank, the band stage was filling with dancers of all ages and styles, all of whom had definite moves. I don’t seem to notice notices for dancing classes any more than I saw in Australia, but judging by what I’ve seen at Liseberg, dancing does seem to be pretty popular here in Sweden. 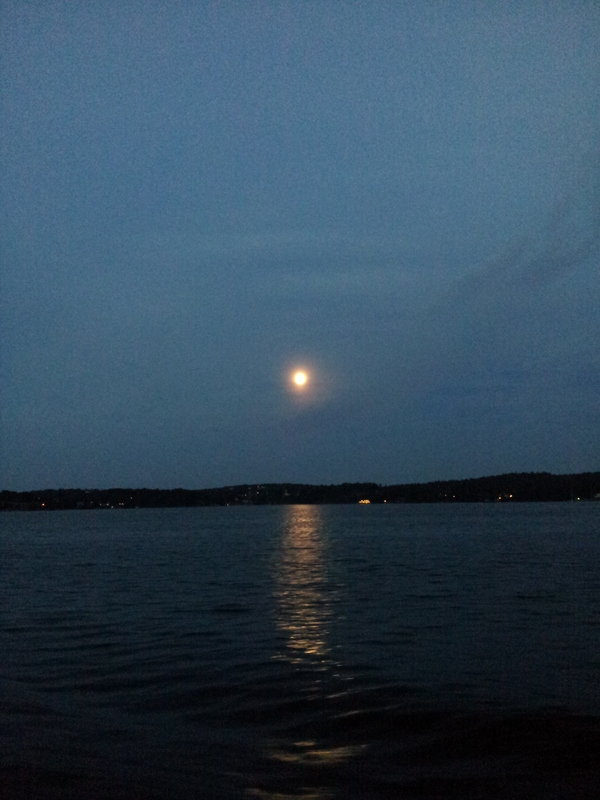 Perhaps it’s those long dark winter nights. Finally the time had come. The now slightly reduced group went over to the line for the Helix, and those not taking part found a table at the Austrian themed restaurant to wait and eat. Soon they returned, and the food arrived, and in all the talk of the rides I felt very little regret at not going. Perhaps I’ll try in future, when the need to prove myself outweighs the memory of those vertiginous drops. 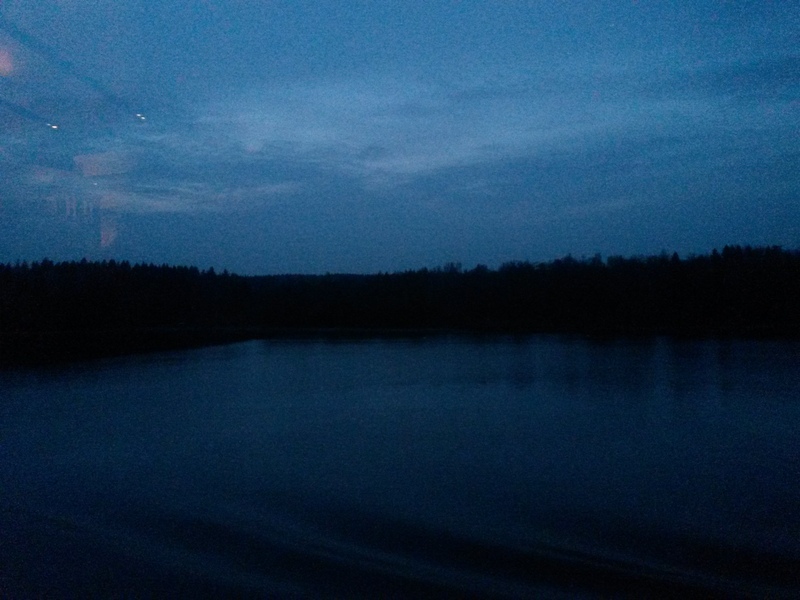 As darkness finally began to set in, the parents decided to call it a night, while the rest of us headed into town. 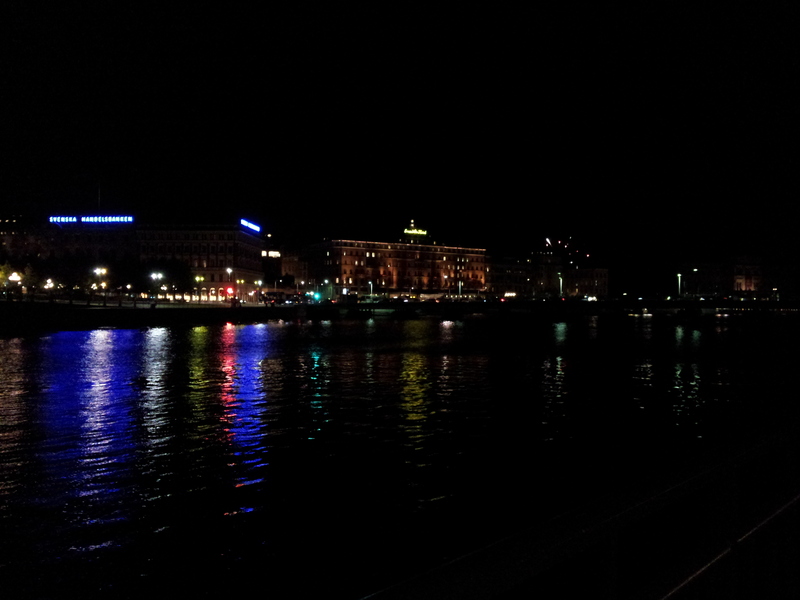 We’d decided that we needed to show them the side of Göteborg where the locals spent their time and were soon in a noisy, crowded pub, chatting and trying not to listen to the loud Australian behind us, telling his new friends about goon-bags. They have all since left for other travels, though we plan to meet them again in Oslo next week, possibly for the last time until we next visit Australia. In other news, the first part of my Swedish course finished last week. The class, including many people I’ve studied with for 6 months, had a last fika with the teacher who has been with us from the start. The new classes next term will be with some of the same people, and a few new teachers, and the work will only continue to get harder. And then it too will end, and all sorts of other options will be available. Not too long now.